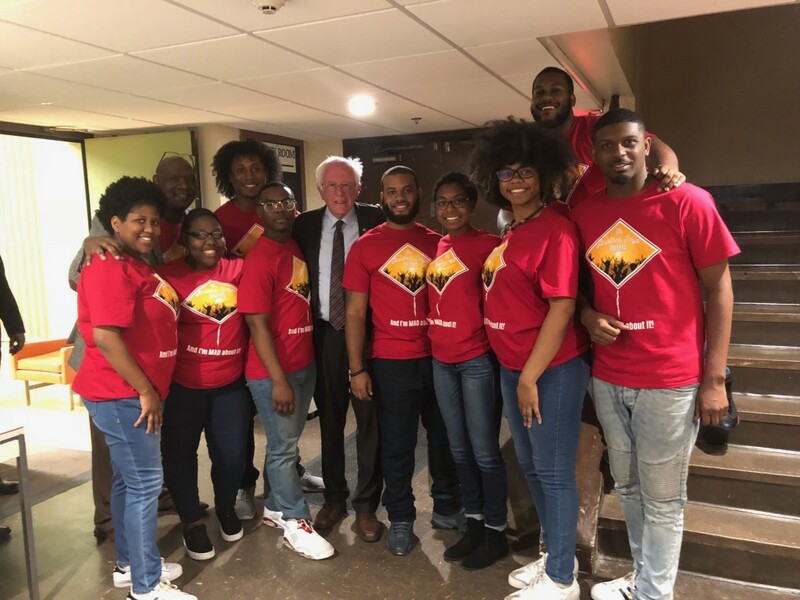 Drama was definitely in the building at the “Examining Economic Justice 50 Years Later” town hall conversation with Jackson Mayor Chokwe Antar Lumumba and U.S. Sen. Bernie Sanders at Thalia Mara Hall on Wednesday. But the “drama” was not a result of a fiery and complex discussion between politicians, as they reflected on the legacy of Dr. Martin Luther King Jr. a half-century after his death. No, it distinctly came from Jackson State University’s theatrical student troupe MADDRAMA, who was invited to display their acting chops at the event. Before Lumumba and Sanders took the stage, Dr. Mark Henderson, associate professor of speech and theatre at JSU, explained to the audience the meaning of the acronym MADDRAMA. 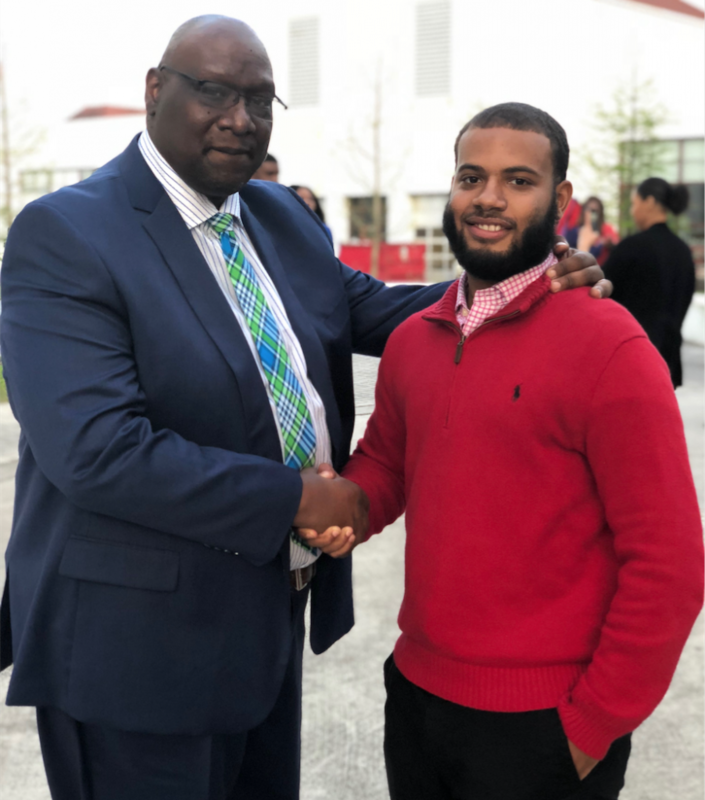 The students keenly recognize that they are the “new keepers of the dream” and young people have always taken on the task of “imagining, fighting for and building opportunities that usher in transformation for generations,” said Henderson, also the founder of MADDRAMA. After Henderson’s introduction, MADDRAMA offered a poignant and soul-stirring mash-up of orations and singing that quickly bounced from one actor to the next like a series of echoes. The energy and range of emotion they produced in seven minutes was enough to bring the audience to their feet in a robust, standing ovation. “We want our students to be informed about issues that are impacting people all over the world so that they have the ingenuity to view life through a balanced and well-rounded lens,” Bynum said. Sophomore Michael Taylor admits that he had a moment of disbelief when he learned his organization would perform in front of the U.S. Senator. “I was like: ‘Bernie Sanders, the one who was running for president, he gone be here?’” he said, then laughs. The theatre major defined the moment as surreal until the group exchanged handshakes and took pictures with the former presidential candidate from Vermont. “I never would’ve thought that I would perform in front of an audience that big. It was really nice to be in that environment and to see that our hard work did not go unnoticed,” he said. Dissecting “Economic Justice on Southern Soil,” the Chicagoan makes clear that African Americans today are fighting similar circumstances and conditions that were in play during King’s era. Taylor imparts that amid their performance, the references to people like Colin Kaepernick, and other documented instances of racial oppression, over the last 50 years, was intended to exhibit similarities in the discrimination that has occurred past and present. Below: Sanders is interviewed by JSU TV Senior Producer and Anchor Eric Walker and Community and Public Affairs Producer Dwain Doty.